“GMO”s are never used in our beef program! 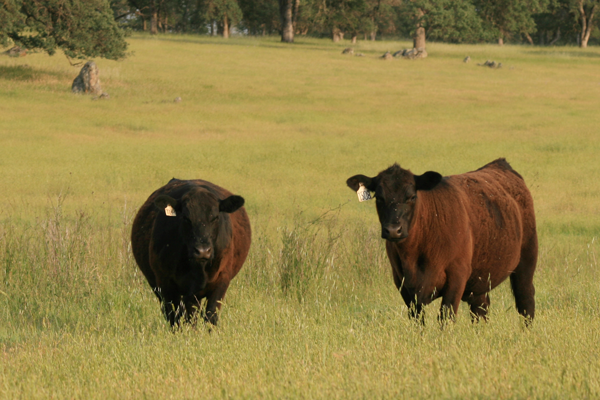 Raised on mother’s milk, Sierra foothill native and irrigated pastures and pesticide free clover, rye and grass hay, our herd is guaranteed to be pure and natural top quality beef from start to finish. We never feed or administer antibiotics. We never use pour-on or spray-on insecticides. We never use added hormones or growth stimulants and our beef are never fed any kind of grains, corn or animal bi-products. WHAT’S NEW AT M & A RANCH! Introducing this season, our new Angus Bull, “Casino”! His genetics hail from the oldest angus cattle stud ranch in New Zealand! Founded in 1897, the Turihaua Station Ranch is renowned for breeding and raising angus cattle for forage efficiency and the ability to be resilient on native grasses. Their offspring are bred for gentle disposition, fertile soundness, good milking and maternal ability. The steers marble well on good grass and native pastures without the need for grain supplements as American bred cattle require. 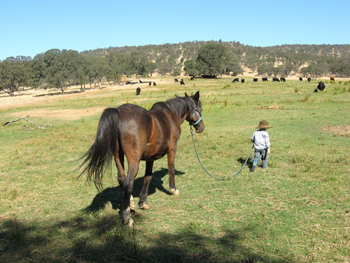 The M & A Ranch is a small family owned & operated cattle ranch located in the Sierra Nevada foothills in Browns Valley, California. We only raise 100% free range all natural Genuine Angus sired beef. 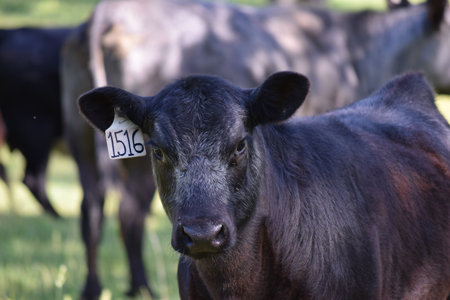 Each of our calves are born and raised on our ranch and careful records are kept on each animal from the day of birth until they are humanely harvested. Our beef is grass fed and grass finished! 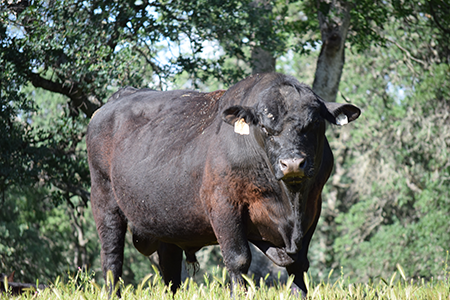 The M & A Ranch family has been raising angus cattle for over 30 years here on the same ranch property. We are lifetime members of the American Angus Association. 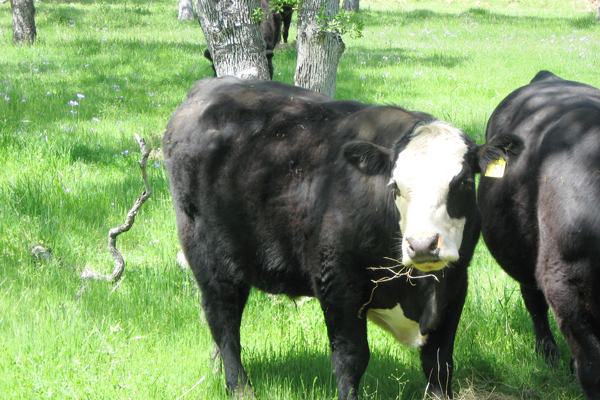 We always maintain and manage our land and cattle for natural, stress-free, healthy beef. A whole beef yields approximately 360 to 580 lbs. of finished cuts, vacuum sealed packages, boxed and frozen. A half beef yields approximately 185 to 240 lbs. of finished cuts, vacuum sealed packages, boxed and frozen. A quarter beef yields approximately 80 to 120 lbs. of finished cuts, vacuum sealed packages, boxed and frozen. A eighth beef yields approximately 40 to 60 lbs. of finished cuts, vacuum sealed packages, boxed and frozen. Final cost is calculated on a per lb. basis by the total finished cut weight. The M & A Ranch currently sells One Half, One Quarter, One Eighth and One Sixteenth Beef Orders. These Orders include a full variety of select cuts from both the entire front and hind quarters of the half beef carcass. Cuts will vary from select premium hand carved steaks, to top end roasts ranging from two to three pounds and one pound ground beef packages. Keep in mind finished cut weights will vary from animal to animal. Every order of our beef contains individual custom hand finished cuts, vacuum sealed, frozen fresh, and boxed ready for your freezer. One Half (1/2) beef order vary between 185-240 lbs are $8.89 per lb cut/wrapped, frozen & boxed​. Quarter (1/4) beef orders vary between. 85-120 lbs are $9.15 per lb cut/wrapped, frozen & boxed. Eighth (1/8) beef orders vary between 40-60 lbs are $9.47 per lb cut/wrapped, frozen & boxed. All M & A Ranch prices include everything with no hidden costs… from the live animal transport, a humane harvest, to the entire cut/wrap process. Each cut is individually vacuum-sealed and USDA labeled in convenient size packages, then frozen for your assured freshness. You can expect it will take a minimum of four weeks from the day of harvest until your meat is ready. You cannot hurry quality. It is the buyers responsibility to pick up their meat on the day it is ready. We often stock eighth & quarter beef orders for your convenience and immediate availability. We recommend you order in advance since all beef orders are based on availability and on a first-come first-served basis. A $100 nonrefundable down payment per quarter beef is required on all reservation orders to be credited to the final price. You may contact us via email at freerangeangusbeef@gmail.com or by phone at 530.743.2108.We are not always readily available due to caring for our herd daily but we will make every effort to return your emails and phone calls promptly. We work with several retail markets at nearby locations to make our top quality all natural, grass-fed and grass-finished beef available for your easy shopping convenience. 1. I AM INTERESTED IN BUYING A BEEF. HOW DO I GET STARTED? a) Our beef is sold as a quarters or one eighth. We deliver our beef live to a processing plant where they are humanely harvested. Following harvest, each carcass is stored in a dry cold storage room for 14 to 21 days to ensure it is fully cured and aged. The dry age process insures our meat will be tender and flavorful! Then it is custom hand cut, vacuum-sealed, boxed and frozen. b) Some customers want a LIVE beef to be harvested locally and then transported to their favorite butcher of choice. c) Some customers purchase a LIVE beef to raise on their own farm. 2. WHICH IS HEALTHIER, GRASS OR GRAIN FINISHED BEEF? 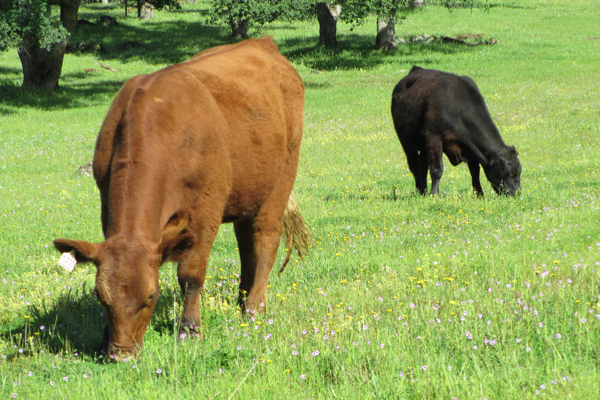 In addition, over the past 30 years, California State University in Chico has done extensive research regarding the BENEFITS of Grass Finished vs Grain Finished beef which you can read in the LINK below. M & A RANCH guarantee’s our beef to be 100% grass finished only! Grass fed meat is leaner and higher in Vitamin E, beta carotene, two to four times more heart-healthy Omega 3 fatty acids than grain fed beef and a overall lower fat content and therefore also lower in calories! 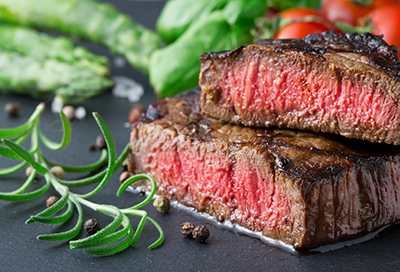 Some studies show that Grass Fed lean beef actually lowers your LDL Cholesterol levels! Grass fed means the cattle are eating a natural diet they were designed for whereas a Grain fed diet is not a natural diet for cattle. Feed lots were designed to grain feed cattle for the sole purpose of putting weight on the animals as fast as possible. Grain fed cattle gain weight rapidly and unnaturally causing a higher % of “not healthy” fat-content, higher calories and higher cholesterol! 3. HOW LONG CAN I STORE VACUUM-SEALED BEEF IN MY FREEZER? Vacuum-sealed beef freezes very well in the freezer for at least a year. We recommend buying and storing enough beef for no longer than one year as “fresher is always better”. 4. WHAT ARE THE M & A RANCH USDA CLAIMS? We are a USDA INSPECTED and Genuine Angus Beef producer. We NEVER administer any added hormone’s or growth stimulants. We NEVER feed or inject antibiotics by intra-muscular or under the skin. 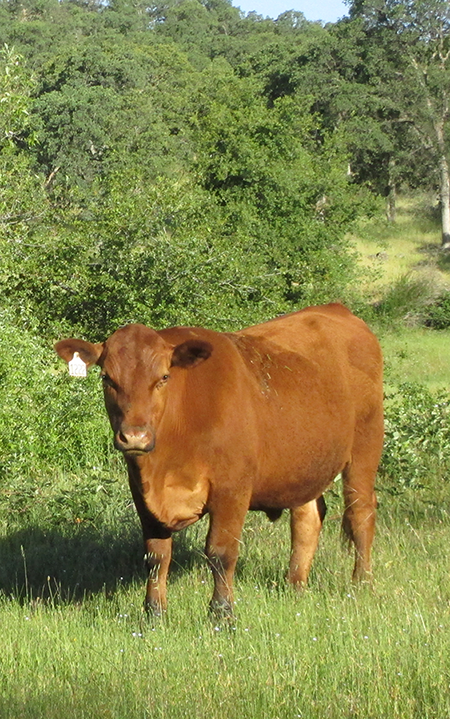 Our cattle live in a low stress, calm environment; they RANGE FREELY (never confined in feed lots). We NEVER feed grain, corn, any bi-products or Ionophores. We NEVER apply external pesticides on our cattle during their lifetime. 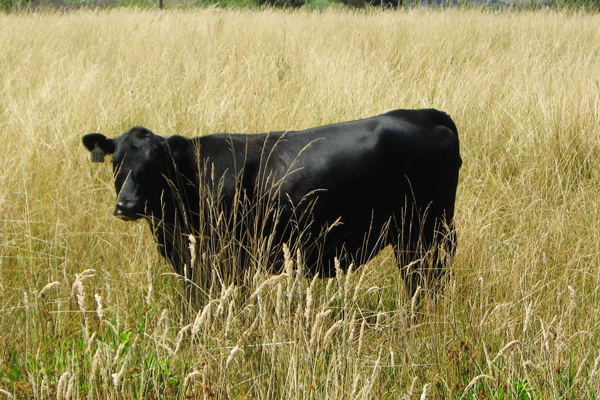 Our NATURAL Angus beef is “minimally processed” in a USDA certified facility. 5. HOW SOON CAN I EXPECT MY BEEF ORDER TO BE AVAILABLE? M & A Ranch beef orders are sold each year on a first come first serve basis. Our Beef orders require a 4 week turn around from the date of live delivery to the USDA Processing Facility: figure three weeks for cold dry storage cure/hang time, & one week for adequate freezing time. We will inform you of the date and place for the pick up of your order. (We do not offer ground or air shipping at this time.) Call regarding local and out of town deliveries. 6. CAN I CHOOSE MY OWN CUSTOM CUTS FOR MY BEEF ORDER? No, with Quarter or eighth’s beef orders you do not have your choice of specific cuts and thickness’ of meat. Quarter or eight’s beef orders are a variety of cuts selected from the entire front and hind portions and cannot be customized. 7. WHAT ARE THE TYPICAL CUTS IN A QUARTER BEEF AND EIGHTH BEEF? Both quarter & eighth orders always include a full variety of select cuts from both the entire front and hind quarters of the half beef carcass. Customers do not have cut selection choices on orders less than a half beef order. On a typical quarter beef order the total weight varies between 85 lbs. and 120 lbs. depending on the size of the beef at harvest. Typical cuts will include most of the following. On occasions, substitutions will be made according to product availability. Bones will always be included as they are a part of the division of 1/2’s into quarters. 8. DOES GRASS FED BEEF COOK DIFFERENTLY THAN GRAIN FED? Yes, Since Grass fed is much lower in saturated fats than Grain fed, it requires less cooking time. It is recommended that you slow cook at lower temperatures. BE CAREFUL NOT TO OVER COOK YOUR GRASS FED BEEF! 9. WHEN DO I PAY FOR MY ORDER? We require a $100.00 non-refundable down payment for each quarter beef ordered up front. Payment in full is required upon pickup of your order. 10. DO YOU SELL ORGANIC GENUINE ANGUS BEEF? M & A RANCH is dedicated to raising USDA INSPECTED and “Natural Free Range Angus” Beef and in many practices exceeds the USDA organic certified requirements! 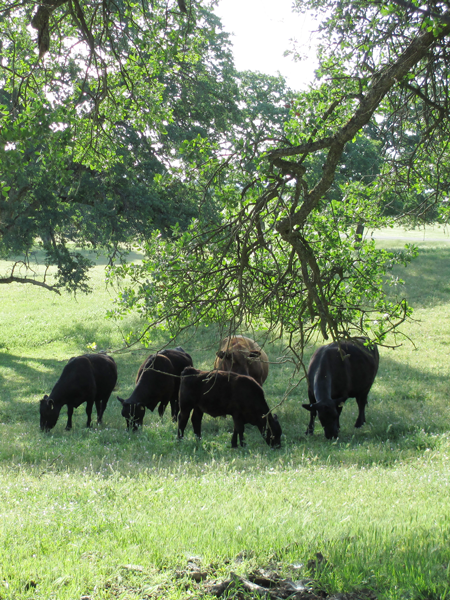 Each of our pastures are always pesticide free, naturally fertilized with cattle manure. We have only opted not to apply for the USDA organic certification because it is a very lengthy and expensive process, which in turn would cause us to increase our beef prices to our customers! We believe personal trust and integrity goes a long way. We strongly encourage our customers to get to know their local producer; find out how they raise their beef and treat their animals. contact Us We are located just north/east of Marysville, California off Highway 20 in Browns Valley. © 2019 All Rights Reserved. Website Design & Management by Vaughn Mercury.